Warner Bros. Studio Tour London/Warner Bros. 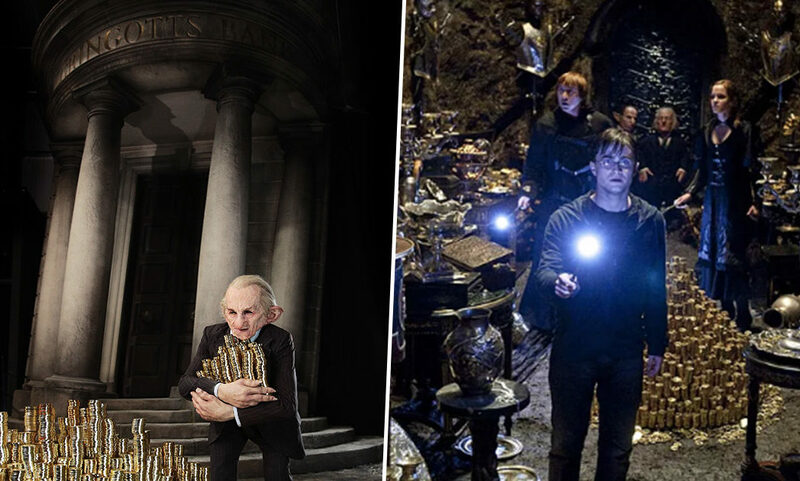 This year Harry Potter fans will be able to step into Gringotts Wizarding Bank for the first time ever as Warner Bros. Studio Tour London – The Making of Harry Potter unveils their biggest expansion to date. Owned and operated by goblins, Gringotts is the only wizarding bank in the world and plays an important role in the Harry Potter franchise. When Harry first discovered Diagon Alley in the Philosopher’s Stone, Hagrid took him to Gringotts where the young wizard discovered he was rich. Later on Harry, Hermione and Ron broke into the bank to steal Helga Hufflepuff’s Cup, one of Lord Voldemort’s Horcruxes, from the Lestrange family vault. Wanting to make a dramatic exit, the trio escaped on the back of a Ukrainian Ironbelly dragon which they had freed earlier. It’s no wonder then Warner Bros. Studio Tour London is adding the original Gringotts set as a permanent addition. Officially opening on April 6, visitors will be able to walk through the bank, the Lestrange vault, a gallery of goblins and so much more. 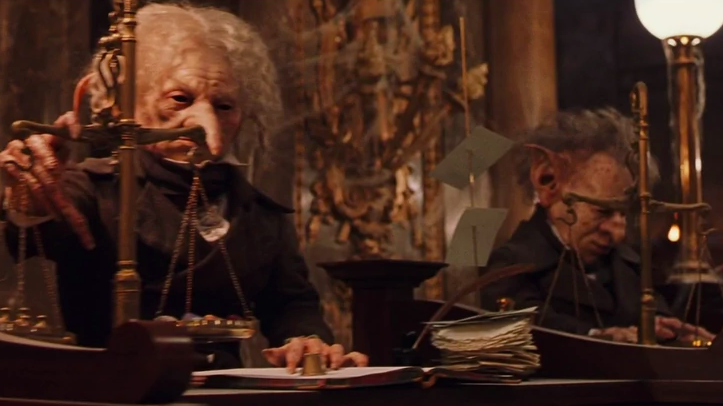 Gringotts Wizarding Bank is famously run by goblins. Walking through the imposing marble columns, visitors will discover the costumes and prosthetics belonging to Bogrod, Griphook and many other goblin bankers. Each prosthetic mask took weeks to create, with every hair individually inserted and veins painstakingly painted by hand. During filming 38,000 pieces of rubberised treasure were created the for the Lestrange vault including 7,014 Hufflepuff Cups. Here, visitors can try out a unique photo opportunity allowing them to step inside the Lestrange vault and surround themselves with treasure. The set, which was designed and built by original crew members including production designer Stuart Craig, is the tour’s biggest addition to date at 16,500 square foot. Entrance to Gringotts will be included in the general admission ticket price which for 2019 is £43 for an adult and £35 for a child between 5 and 15. Children aged 4 and under get in for free. To find out more information and how you can book tickets, visit the Warner Bros. Studio Tour London website.